As you probably know pretty well by now, I love clothing that fits more than one situation. Which is one of the reasons i loved working on my Reef pattern so much. 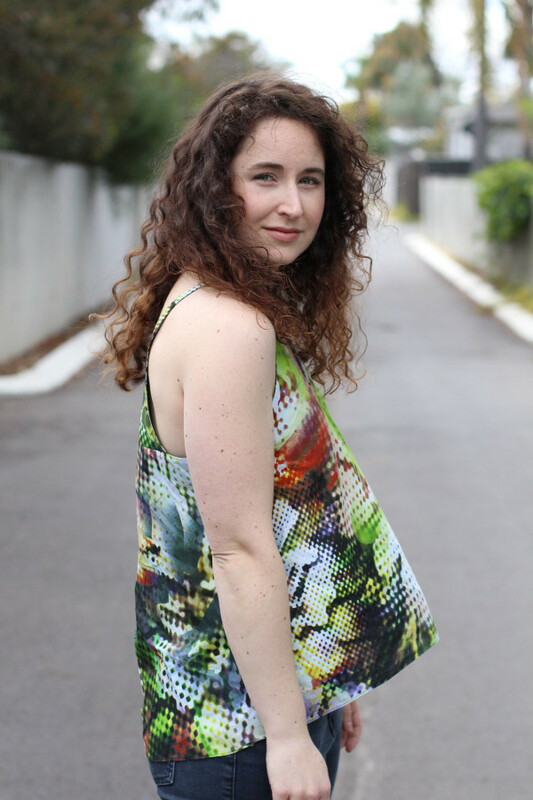 I made a matching set of Reef pajamas using this really amazing digital print cotton – and I literally cannot stop myself from wearing the camisole during the day too. 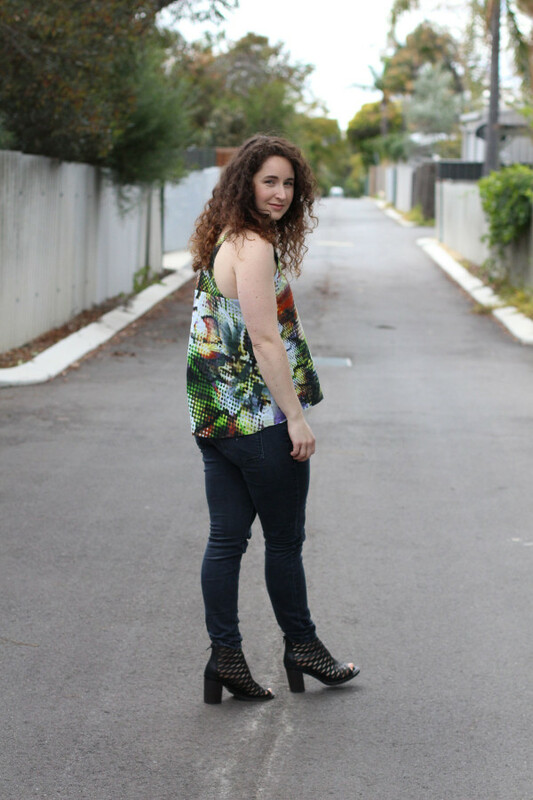 This is one of my favourite ways to wear the camisole – with jeans, out on a date with my Chris. 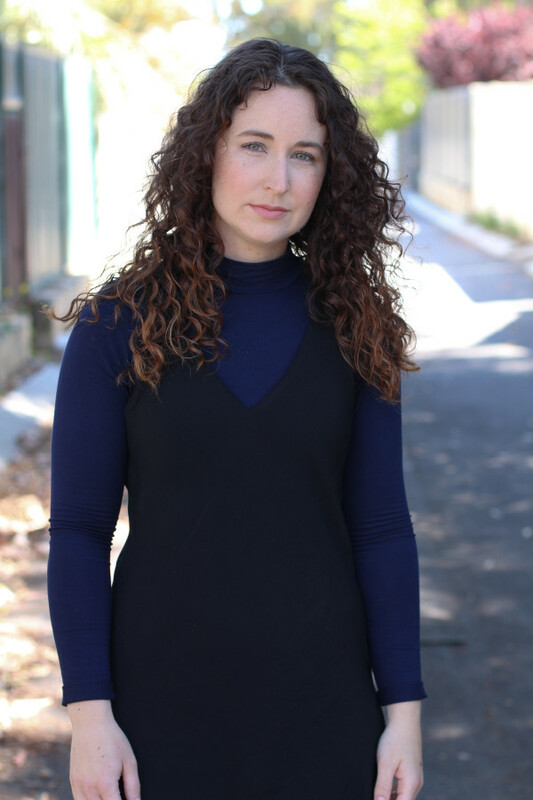 As it is currently winter in Perth right now, this outfit also included a blazer, but i left it out of these images as it’s still currently in development. wink wink. 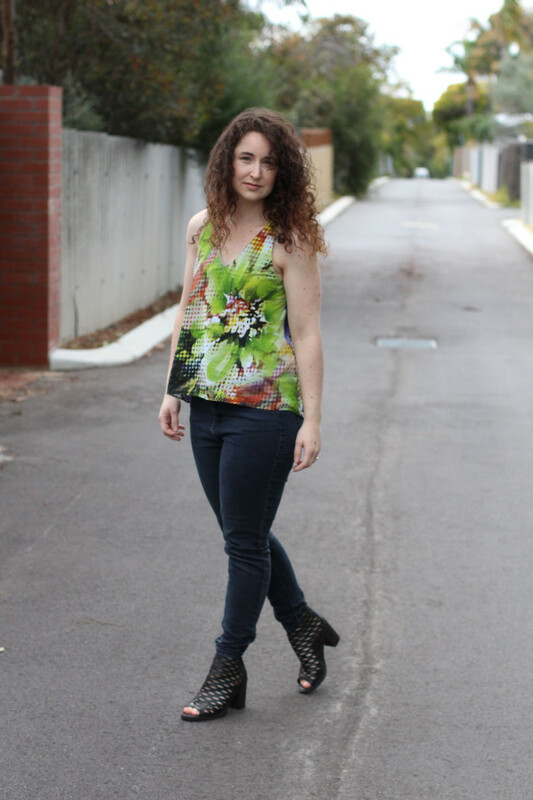 It’s actually quite a departure for me to wear a large scale print on a blouse – I’ve noticed i have a tendency to put large prints on skirts and dresses, and go for more neutral tones in tops. This fabric is one I’ve had in stash for quite some time. 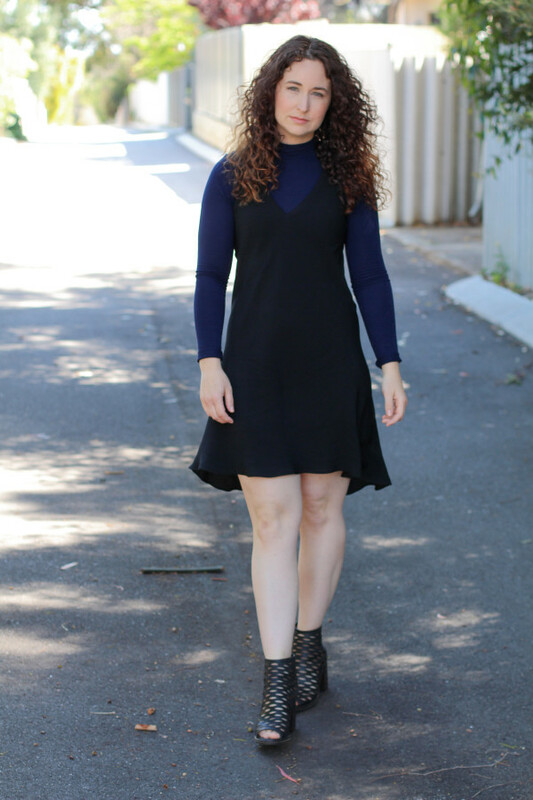 I originally bought it to make this Cascade skirt and loved it so much that i hoarded the rest waiting for the right project. 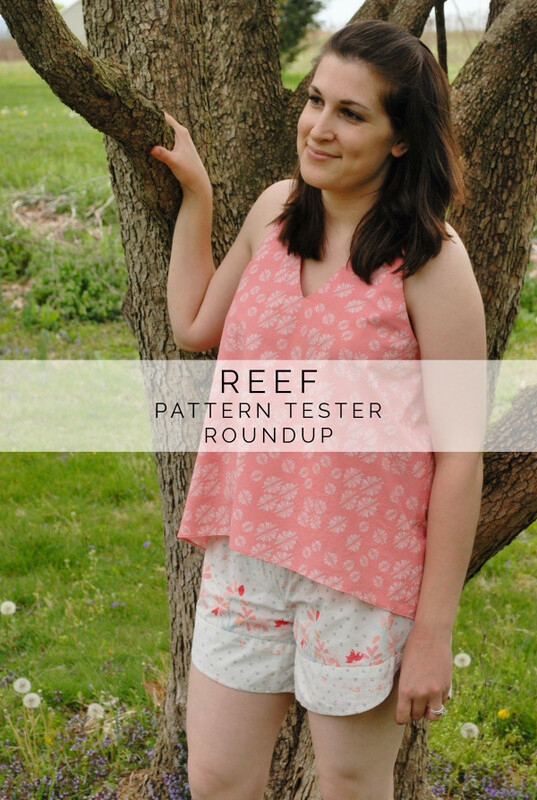 I really wanted to use it for the Reef pattern, as i knew it would work well for the camisole – but must admit i was a little nervous about the shorts. Since the print is so large and crazy, i decided not to bother pattern matching on the shorts, and i think that was the right choice. I’ll have to post a better picture of them later, as right now it is just way too cold to wear shorts outside hehe. 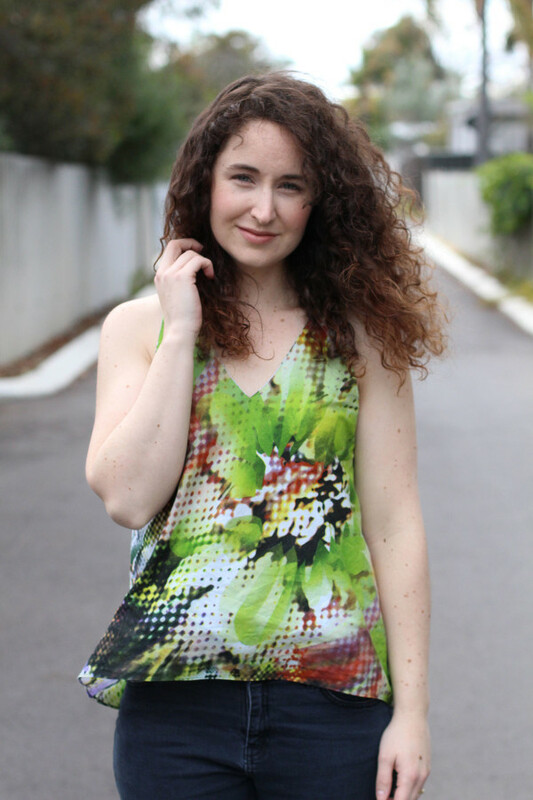 Once summer comes around here again I’d like to try wearing this camisole with the matching Cascade skirt and see if they make a faux dress – think it might be pretty cool! 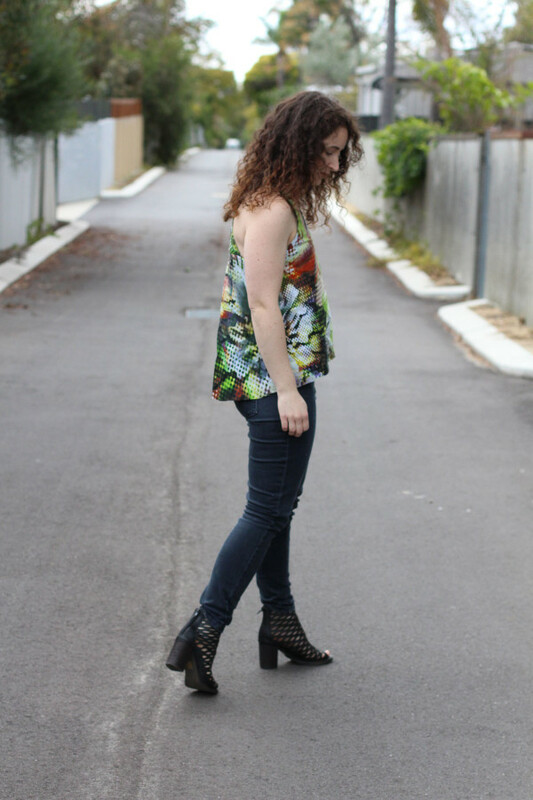 I love V neck blouses – but I’m not going to lie to you – they can look like a hot mess if you don’t take care when sewing them. 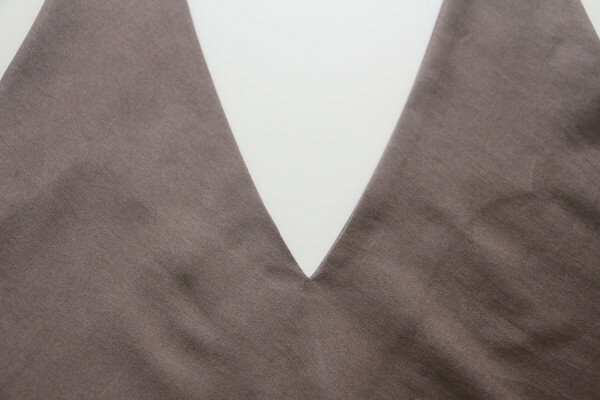 It isn’t hard to sew a lovely neat V neck, you just need to take your time and do things properly, no skimping please! 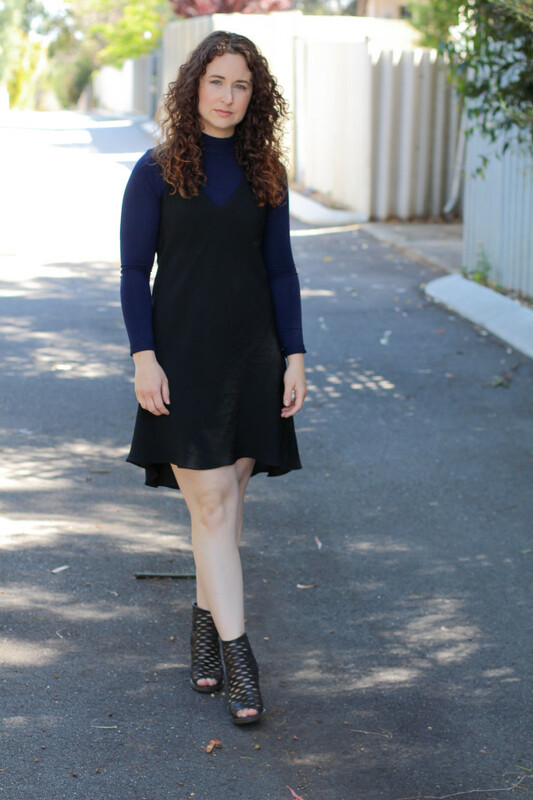 Here are my quick tips for getting that perfect V neck on a blouse (or dress) with a facing (or lining). 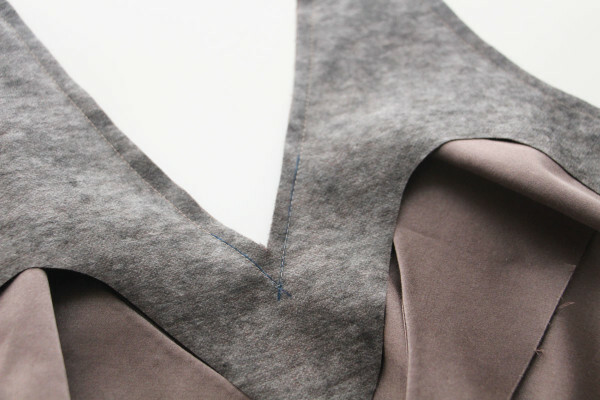 I’m using my Reef camisole sewing pattern as an example, but this method holds true for all V necks on woven fabric. 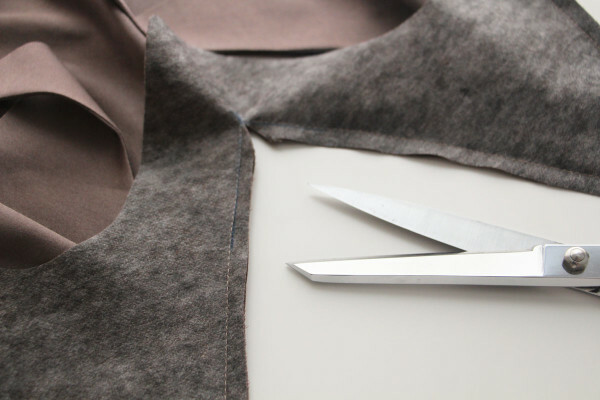 The first step is to make sure that you staystitch just inside the seam allowance along the neckline of the blouse. Having said that, for this Reef it is cut on the bias, and i was using a very lively silk satin i opted to instead leave it flat and in place on my table after cutting, and use my facing for all stability. This only worked because i didn’t move my front piece after cutting, generally i recommend always stay stitching. Next up, interface your facings (i recommend block fusing). 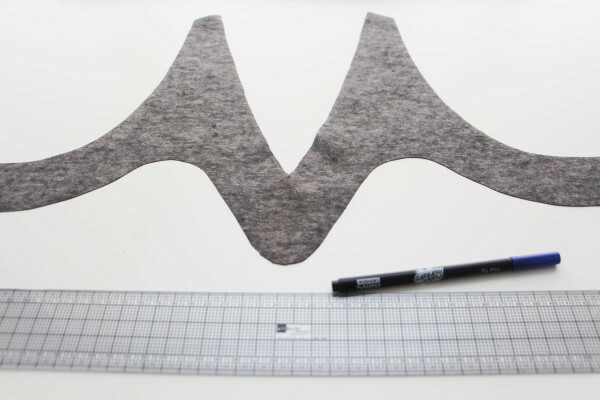 Pull out a fabric pen or pencil and an accurate ruler. Lining up your ruler with the raw edges of the neckline, draw in your stitch lines on the interfaced side only. 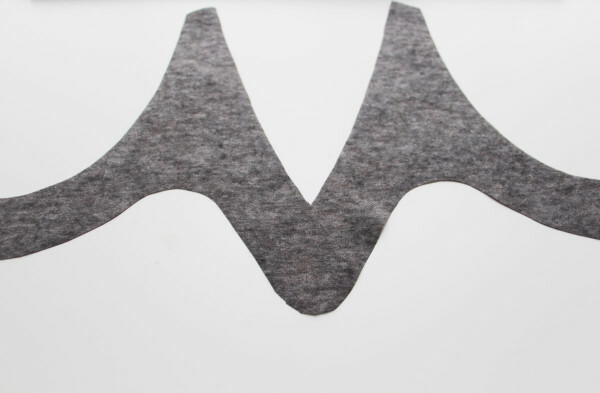 This makes it much less likely your lines will show on the right side of the garment. For Reef the seam allowance along the neckline is 1/4″ (0.6cm). The beauty of this is that you now know exactly where you need to sew, there is no guessing or fussing about. 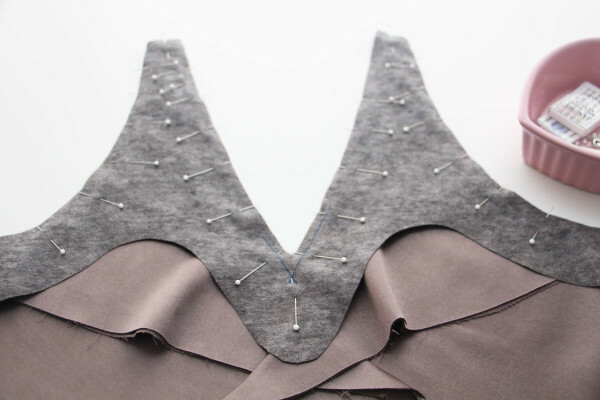 Carefully place your facings on your neckline (for Reef you will also have attached your back yokes, which is why they are peeking out in this photo), and pin in place with right sides together. Now sew along the neckline edge with the interface side up, this way you can see your drawn lines and sew straight through them. 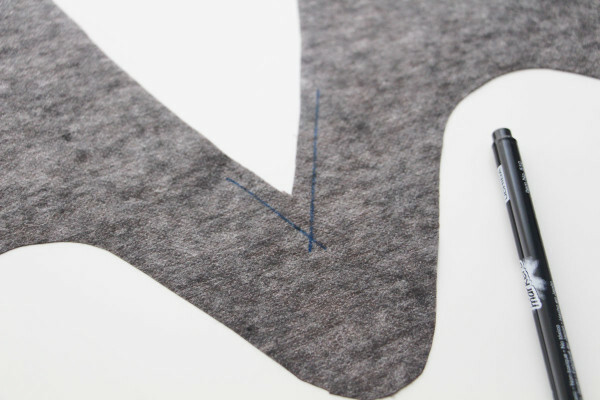 When you reach the tip of the V make sure you place your needle in the very centre of the tip, and leave it down as you pivot the fabric and sew up the other side of the neckline. This is important, if you don’t leave the needle in the centre of the v and pivot on it, your fabric may slip or your stitches may be off centre. I often stitch around the v portion a few times to strengthen it. Clip into the v as close as you dare, and be careful not to cut through the stitches. 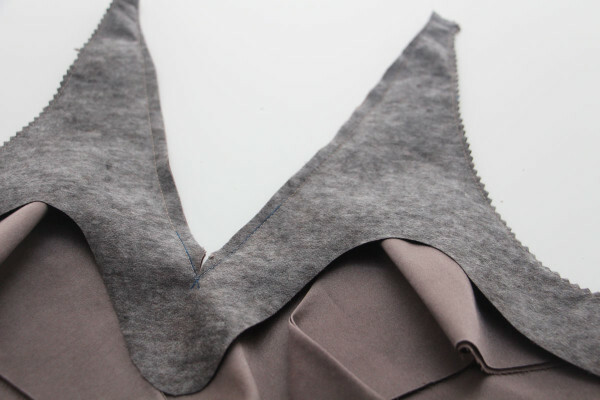 Press the facing and seam allowance away from the camisole and then turn the facings to the wrong side of the camisole. 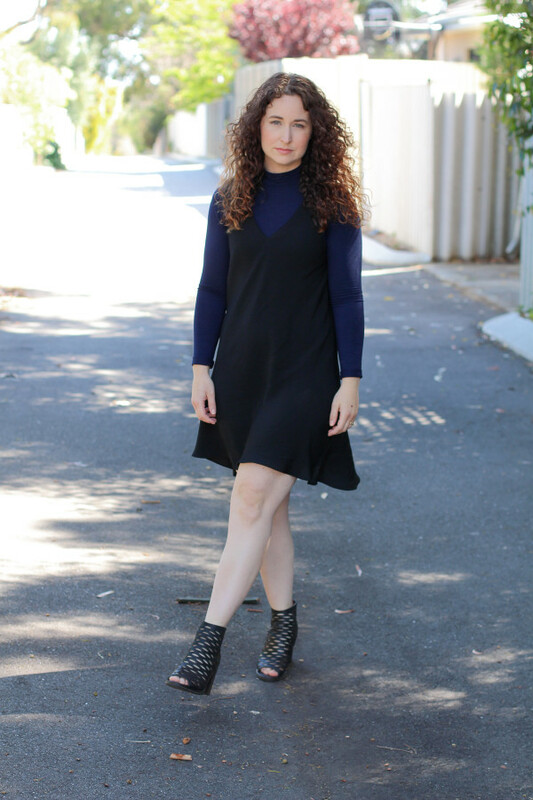 Press the neckline well, and enjoy your lovely neat V neckline! Finish the rest of your project as per the pattern instructions. Excuse me but I tried and my V neck isn’t perfect! What went wrong? When i’ve seen V necks go wrong it’s generally caused by not doing one of the above steps sufficiently well or skipping something vital. Not interfacing. You need the stability! Don’t skip interfacing! 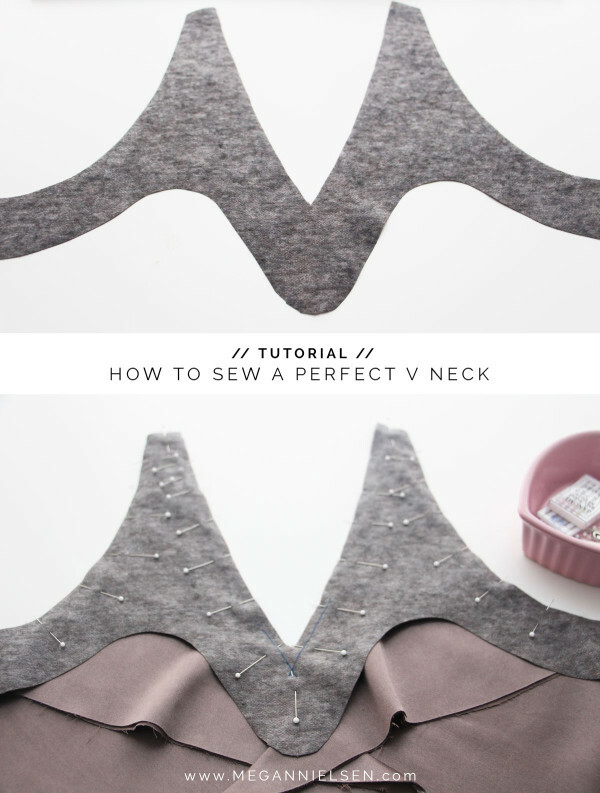 Not sewing accurately and pivoting well in the V is a possible culprit of a bad V, and sometimes this isn’t just because of being a bit sloppy – it can be a tension issue too. I’ve had it happen to me when my tension was off, so keep an eye on that. Not clipping far enough into the V, or clipping slightly off centre is another one to check. I know it’s a bit scary, but it will be fine. If you don’t clip deep enough the fabric can’t turn cleaning, so clip deeply. Also check the sharpness of your scissors. I have a pair that was sharpened badly (hey scissor man, i’m mad at you!) and the tip no longer meets properly for a crisp cut. This means i never ever use that pair for clipping into anything.